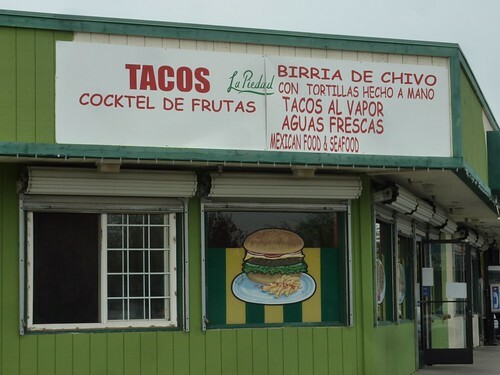 Tacos La Piedad, originally uploaded by primatepatio. 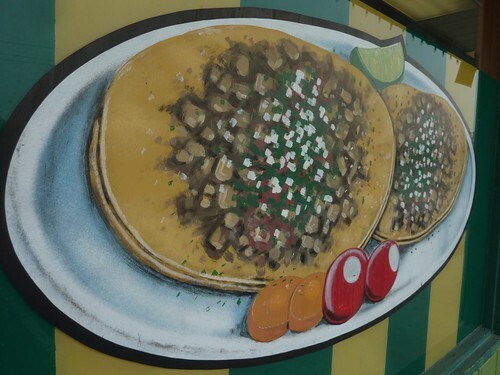 An amazingly good Mexican restaurant just outside of Fresno. The trappings prove the rule that crappy dinette sets and plastic tablecloths indicate superior Mexican food.